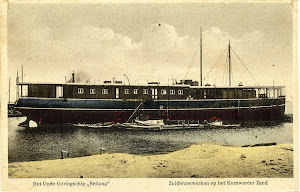 Part of the fleet of the Afdeling Scheepvaart. Commissioned on 20 May 1952. Stationed at Meraule, Netherlands New Guinea. Steel built. Tonnage 20 tons.